Want To Try Now & Pay Later? You Can With Klarna! You may have seen Klarna logos popping up on your favourite Clothing sites. So, what is Klarna? A very handy service, for those of us that wish to "try before you buy". Refunds take an age to hit your bank account, so skip that nonsense when you buy via Klarna for a fuss-free transaction. Still scratching your head? You won't be with our easy-to-follow guide. What is Klarna? 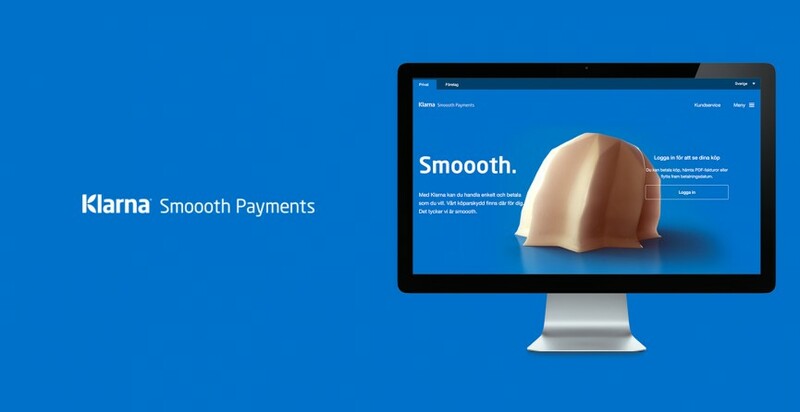 Klarna is a payment method, that allows you to Pay now, pay later or "Slice up" your payment. The choice is yours. With Klarna Pay Later you have the option to pay for your order 14 or 30 days after your goods have shipped, depending on the store. This is subject to your Pay Later request being accepted. If your Pay Later request goes through, then you'll receive an email with instructions on how to pay for your order, at a later date. There's NO interest to pay or additional fees for the service. Should you choose to "Slice it" then you'll be given flexibility to manage your payments. You don't have to pay for your order upfront, like a conventional online transaction. If you do opt to Slice it for the first time, you'll have to apply for a Klarna Account at the checkout phase. Klarna carry out an affordability assessment, as well as a CREDIT CHECK and if they approve your application, then a Klarna Account will be made for you. Already got a Klarna account? Your order amount will be added to your total balance, providing it doesn't take you over your account credit limit. Want to settle the bill now? You can pay in full via Klarna Checkout, using your debit or credit card. Store your card details when making your first purchase via Klarna and you can enjoy one-click purchases across the entire Klarna merchant network, each time you shop. Klarna is available when shopping with ASOS UK. You cannot select Klarna as a payment choice when on the ASOS* site, but you can via the ASOS App. It's easy to choose Klarna via the ASOS App*... simply change the payment method by tapping 'change' under payment type, then 'add new payment method'. Finally, opt for Pay Later with Klarna. This is a great way to try those Dresses out, without the hassle of paying for them, sending back the ones that are no use, and then waiting for the refund to hit your bank account. There are many online stores in the UK that offer Klarna. We predict that in the next year, this will increase rapidly, as it has done in the rest of Europe. A quick search on a popular search engine shows that Klarna is a much loved payment service in the UK. With 80% off it's reviews on Trustpilot rating Klarna as 'Excellent', it's easy to see why many are using the Klarna Payment service. Checking out with Klarna means you can not only benefit from 'Buy now, pay Later', but can have peace of mind that it's a safe way to pay. The Klarna Checkout process has been engineered to ensure each customer has a quick, easy and smooth experience via any device. There are no fees with Klarna if you choose to 'Pay Now' or 'Pay Later'. Should you opt to 'Slice it' with Klarna then you will be entering into a credit agreement and interest rates are applicable to all purchases. With Klarna you can choose to pay later with "Slice it". Your credit limit is the maximum amount that Klarna can offer you. It is determined by your previous credit history and an affordability assessment. If you apply for a Klarna Account and sign the Klarna Account Agreement, you'll be emailed with how much credit they can offer you. You can keep track of your Klarna Credit Limit on your Monthly Statement. Wish is an online retailer that is based in the Far East. They sell everything from Make-up Brushes to little Gadgets and everything in between. As they offer Klarna as a payment option, it takes the risk out of shopping with merchants abroad, such as Wish.